When you dream up your bucket list-worthy golf getaway, it’s likely you imagine spending weeks mastering the foggy links of Scotland or the resort-studded desert landscape of Arizona. But, with the opening of Château du Coudreceau—a sweeping exclusive-use estate with a private 14-hole course in Loury—France’s Loire Valley is giving those tee-time standbys a serious run for their money. Admittedly, the course is no Pinehurst. But what it lacks in technical finesse it more than makes up for in privacy. There are no members, no antsy groups rushing you along, and no restrictions here. Shrouded from prying eyes behind thickets of ancient trees, it’s a part of a 81-hectres estate carved into the ancient forest called Forêt de Orléans, built by wealthy merchant Francois Seurrat du Colombier in 1775. Five years ago, the property’s current owners undertook a massive renovation of both the chateau and its grounds, tapping Hawtree Designs, the Arnold Palmer Desing Company, and Paul McGinley Designs to turn the fields originally used for beekeeping and silk worm cultivation into the manicured gardens and tranquil, water-lined course. And with the property’s restoration finally complete, Coudreceau, just a 90-minute drive from Pairs (though should you want to fly private, an FBO is a quick 30 minutes away), is finally open to the public—available for groups to rent for a golf filled getaway. 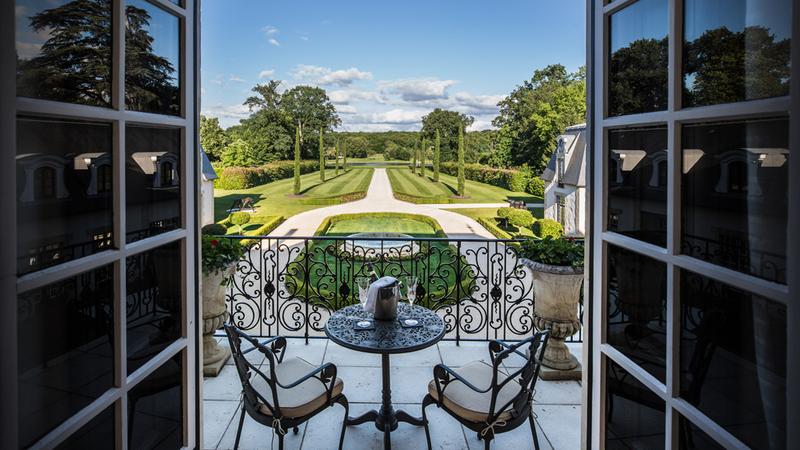 Though the course and surrounding grounds are definitely the property’s crown jewel, the interiors tick all of the boxes of the ideal French countryside retreat. 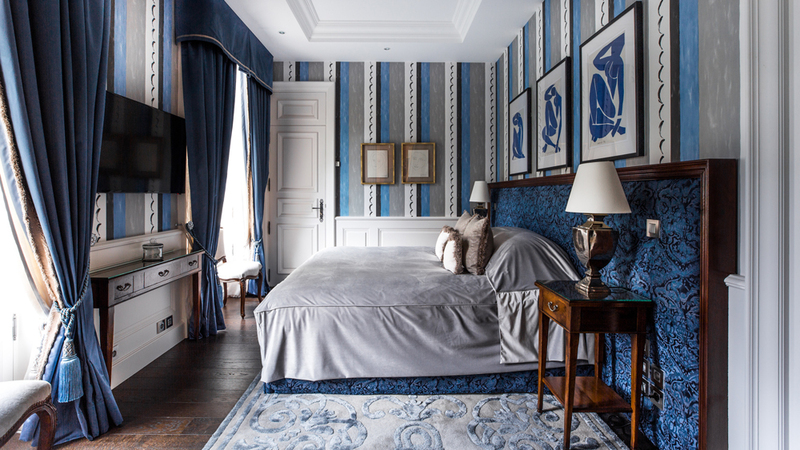 Each of the seven bedrooms housed in the main house (there are 12 more at neighbouring Château de La Chesnaye, a sister property offering more art-centred stays) feature plenty of space to spread out and elegant takes on classic French design. Downstairs, you and your guests can come together for charcuterie in the Jardin du Lac, a splash in the indoor swimming pool, or a spend an afternoon dedicated wellness in the spa and fitness area. There’s also a full-service bar tucked high into the rafters, and a 200-year-old underground wine cellar where the property’s chefs—or, if you’d really like to splash out, Michelin-starred names—can host fine dining experiences. If you do manage to catch cabin fever, you can arrange to have a chauffeur whisk you into the heart of the Loire Valley for an afternoon of Sancerre tasting or a visit to UNESCO World Heritage Site Château Chambord. A private excursion to the Palace of Versailles and a quick helicopter ride to Paris for a day of shopping can also be arranged. And, if you just haven’t had enough time out on the green, the property can reserve a coveted tee-time at Le Golf National in Saint-Quentin-en-Yveline, host of the 2018 Ryder Cup.